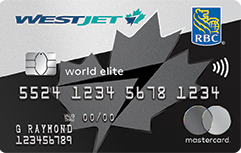 Rewards Canada: WestJet Rewards More Canada More Rewards Progress Check - How many provinces have you flown to? We're almost at the half way point for the WestJet Rewards More Canada. More Rewards. promotion and we'd love to hear how you are doing with the promotion! This is the offer that we developed the concept for and awards up to 1,000 bonus WestJet dollars for traveling across Canada. The more provinces and territories you fly to the more you earn. This bonus runs until the end of the year so you still have lots of time to take advantage of it and earn those extra dollars. For me I have achieved 3 of the bonuses so far. Flying to 2 provinces outside my home province and of course the one time bonus for flying back to my home province. This means I have received 40 bonus WestJet dollars so far. I don't think I'll get much more. There will be chance of Saskatchewan trip which would add another 20 Dollars but all my other WestJet travel will most likely be to provinces I have already flown to or as my next WestJet flight happens to be, to the U.S. If you haven't registered for this promotion yet you can do so here and you have until the end of the year to collect your bonus dollars! How about you? How is your quest to flying to as many provinces across going? Anyone think or know they'll hit the 1,000 dollars bonus? How close will you get? Let our readers and us know in the comments below!